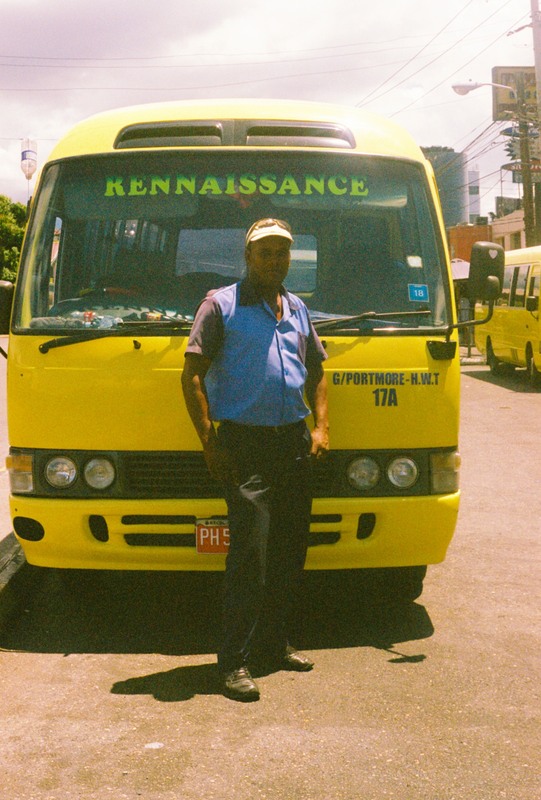 Reflections on the intersection of music and transit in Jamaica. I find sanctuary on public transportation. Buses and trains may not strike as the ideal place to find solace but, for brief moments in my day, I’m able to indulge and listen to music mostly uninterrupted. Sometimes the track is good — too good — and I so badly wish I could share, letting my gems fall on someone else’s ears. On occasion I catch a fellow rider’s glimpse and we exchange a smile or nod, affirming our overlapping journeys. An alternative way to commute —primarily out of convenience — is by way of coaster buses. 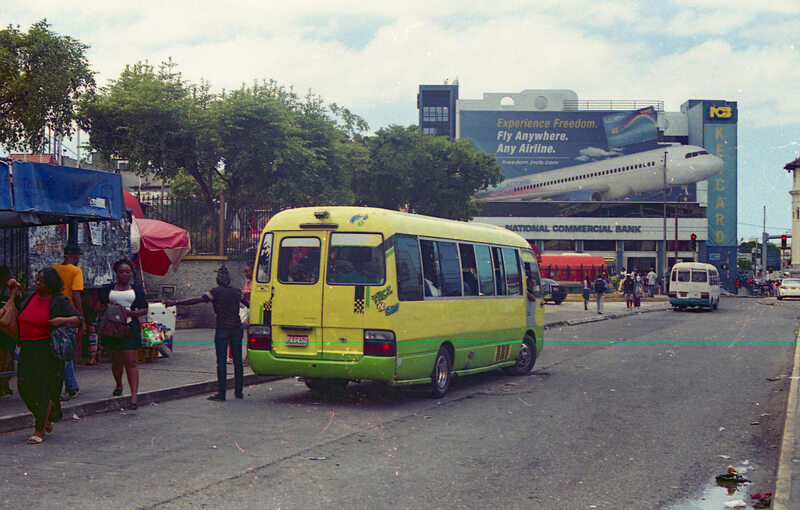 Kingston’s coaster buses are informal modes of transportation that adopt the routes of JUTC busses, something akin to the dollar vans of Brooklyn. These vehicles, captained by drivers with eccentric methods of navigating Jamaica’s often congested streets, run more frequently and get you to your destination much faster, albeit due to sharp turns and abrupt stops. The Toyota-manufactured coasters that zip down roads comfortably seat around 10-14 people but buses often exceed their capacity, with some patrons standing to fill up as much space as possible. Mainly because of the hilarity and animated personalities of the bus loaders and fare collectors, coasters are my preferred way of getting around Kingston. My usual commutes are in and around Half Way Tree, the business district in the capital that is home to the expansive Half Way Tree Transport Centre bus depot. Street vendors, students, business people, and government workers line the intersection of Constant Springs Road and South Odeon Avenue. At its busiest hours, it’s a space concentrated with elements of uptown, midtown and downtown culture. People yelling, cars honking, and the lingering scent of Tastees or Bad Dawg Sausages become the backdrop to people either trying to get a dollar or on their way to making one. Behind the Transport Centre on Hagley Park Road is where the coaster buses load and unload their passengers. Like the JUTC buses, coasters are yellow with their respective route numbers listed on the front and back. 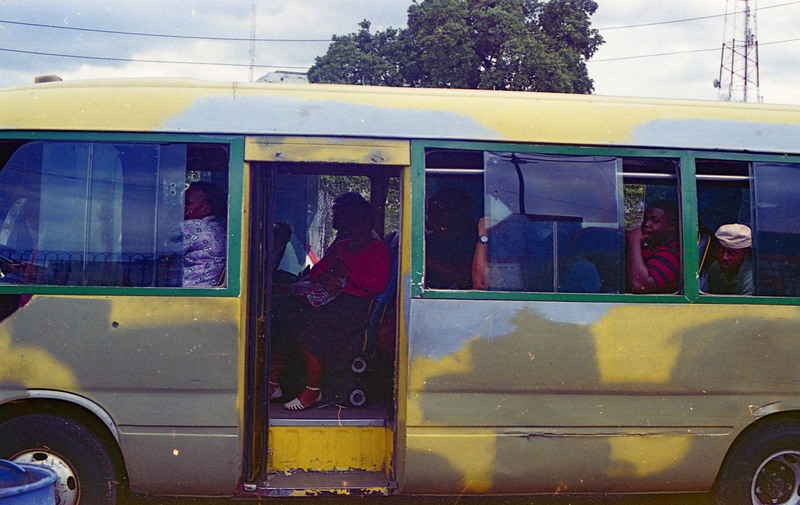 But the busses with the most character are painted in vibrant colours or are adorned in dancehall lyrics and illustrations of full-chested, big-battied women. Coaster bus transportation is bound up in music. In other major cities like London and Toronto, transit rules and regulations require patrons to minimize the space they take up. Scented food invokes stares, reserving a seat exclusively for your bag is a hard no, and playing loud music is a major faux-pas. However, on Kingston’s coaster buses, the private is made public and commuting becomes a mutually shared experience. The soundtrack of coming and going is dictated by the driver and other bold patrons who are in conversation with each other as they attempt to set the mood for the venture to their final destination. Any day in Jamaica can afford you an opportunity to be invited into the folds of the riddims of reggae or dancehall. No matter where you are, no matter whose speakers are blaring, you’re bound to buck up inna sweet melody and a vibe; a community connected to and drawn together with the sounds of music, and that’s recently been recognized as last year UNESCO added Kingston to its music city network. Though it was a long overdue accolade, it’s one that reflects the country’s rich music history, one you can feel and hear flowing through its streets and apparent at the intersection of music and transit. In other cities, commuting may very well be the most mundane part of the day but like most things in Jamaica, nuttin nuh guh suh.